Hypnosis is a rapidly growing, effective and popular healing technique that's become mainstream in today's society. How to help yourself and others through hypnosis. You will be trained exclusively by Ahmed Taha who is a Certified Clinical Instructor in Hypnotherapy with over 20 years experience as a mental health clinician in both private practice as well as in one of the finest psychiatric hospitals in the world. You will save time and money from not having an extended stay away from your office or home. Class Dates Scheduled Around Your Availability.You can pick and choose the training dates that are convenient for you. Your class dates would be be scheduled on weekends as long as we have the dates available. Due to a limited amount of calendar days throughout the year, this training is scheduled on a first come first serve basis so you should reserve your seat soon to secure your choices. 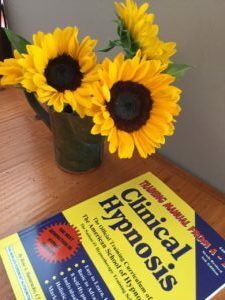 3 days is actually just enough time to study, understand, practice and be competent as a new hypnosis practitioner. In fact you will be conducting hypnosis by the end of the first day. What most people don’t realize is that hypnosis is a system. There is an actual process to conducting sessions that can be taught and learned very easily in a very short time. Get your professional certification to help you land on your desired job or have your own private practice home office. Gain the skills and knowledge needed for a successful career in this field. Aspiring to be certified hypnotherapist ,,, this is the place to start. ​It's the ideal career you looking for, towards your future dreams for a better lifestyle for you and your family. COST of Three-day individual tailored training course for $1499.00 U.S. Dollars.